The album is their first to be produced by Pacific Northwest legend John Goodmanson (Bikini Kill, Sleater-Kinney, Unwound) at Robert Lang Studios outside of Seattle, and is accompanied by a renewed focus and the creativity of a band that took their time getting exactly where they needed to be. It’s also a homecoming to Sub Pop, which released all three of the band’s previous albums. In the time apart, the band scattered geographically and focused on family and other work--Spencer on his solo project Moonface, Dan on his bands Handsome Furs, Operators, and Divine Fits (with Spoon’s Britt Daniel), and Dante De Caro on records with Carey Mercer’s Frog Eyes and Blackout Beach. And that time allowed for an even stronger, tighter band to emerge. 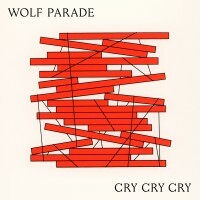 Barry says: Poppy, snarling odes to love and life, filtered through Wolf Parade's unmistakable style. In parts minimalistic before launching into roaring rock anthems. Undoubtedly brilliant, and finally out!